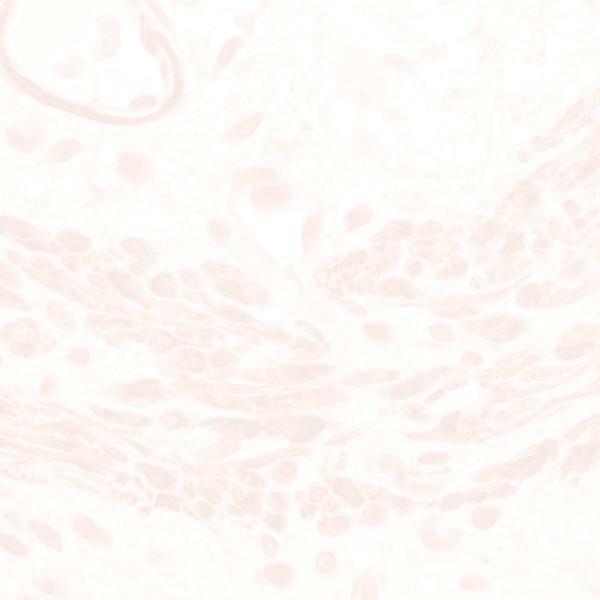 p53 (53 kDa) Oncoprotein - the SIGNET p53 monoclonal antibody, clone D01, detects a denaturation resistant epitope in the human p53 protein. The p53 protein is present in minute amounts in normal cells and tissues, but high concentrations of the protein occur in a large number of tumors and tumor cell lines, enabling it to be detected by immunohistochemistry (nuclear staining). The increased concentration in tumor cells may be caused by complexing with other proteins, or by mutation of the p53 protein. The gene for p53 is located on chromosome 17p, a frequent site of allele loss in many tumors, including lung, colon, breast, ovarian, testicular, bladder, brain, melanoma, certain types of leukemias, and neurofibrosarcoma. Expression of the p53 oncoprotein has been shown to correlate with poor prognosis in breast cancer.